ROME, May 26, 2015 - Rome's Juan Iturbe (C) shoots and scores during the Italian Serie A soccer match against Lazio at the Olympic Stadium in Rome, Italy, May 25, 2015. Rome beat Lazio 2-1. 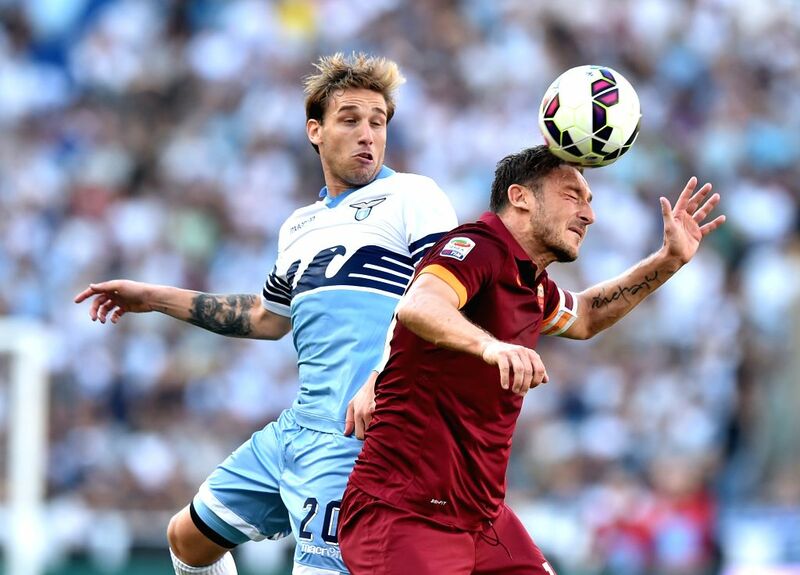 Rome's Francesco Totti (R) vies with Lazio's Senad Lulic during the Italian Serie A soccer match against Lazio at the Olympic Stadium in Rome, Italy, May 25, 2015. Rome beat Lazio 2-1.